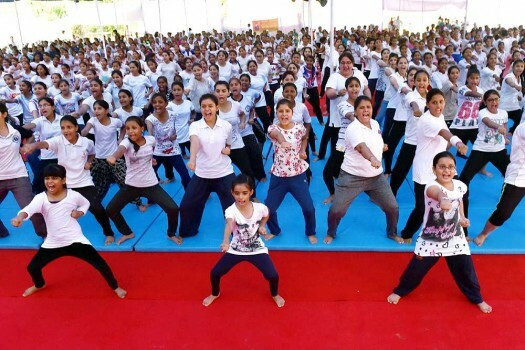 A Durga Vahini girls take part in a self-defence training camp organised by Vishva Hindu Parishad (VHP), in Jammu. 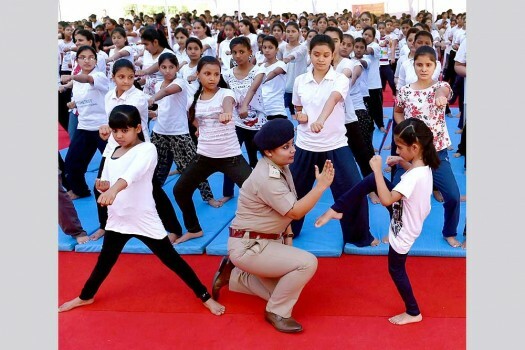 Girls learn martial arts techniques at the closing ceremony of a self-defence training programme for women and children under an empowerment scheme, in New Delhi. 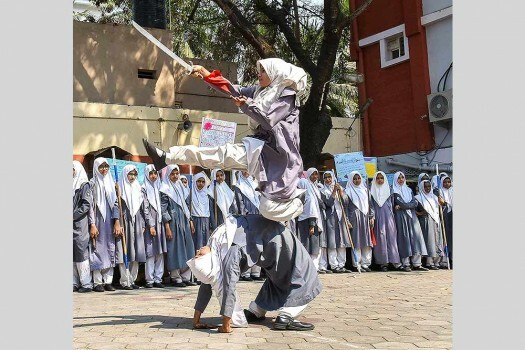 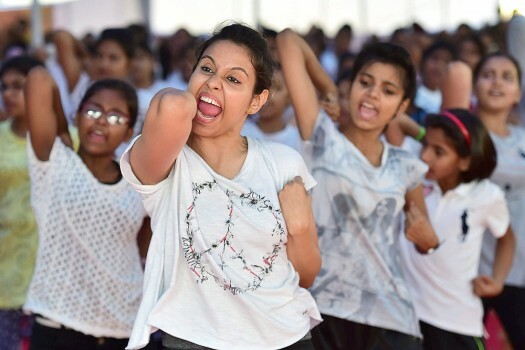 School girls and women learn martial arts techniques at the closing ceremony of a self-defence training programme for women and children under an empowerment scheme, in New Delhi.